Get ready for bal folk festival season with some of my favorite French (and other) folk dances! I will finally be looking at the basics of my favorite dance of all time: The Argentine Tango. Episode airs on Two Rivers Radio (York) & here on April 1st, 2019 (GMT). St. Patricks Day @ The Black Sheep! WHAT: Music & stories, some original & some from around the world! WHERE: The Black Sheep Pub (Ashland, OR). WHEN: St Patrick’s Day! (Sunday, March 17th, 7-9pm). This March, on Two Rivers Radio (York), we will return to the Bothy Ballad singing traditions of Scotland! For those who have not listened to the original episode last August, you are in for a treat! For those who have, this episode features extended material & many new songs…plus, you get to hear the illusive & charming Scott Gardiner tell us all about the Bothy Ballad tradition…what could be better? Episode will air on March 4th, 2019 (GMT). Episode aired on Two Rivers Radio (York) on February 11th, 2019 (GMT). Pirates. Murder. Virginity. Vengeance. Feminism. Folklore. An interview with top folk trio Lady Maisery. You do not want to miss this episode of Crossing Borders on Two Rivers Radio (York)! Juniper @ Mirror In The Woods! Join Genevieve - aka Juniper & The Wolf - for an intimate night of folktales, songs, stories, merriment & reverie in the beautiful Mirror Tea House (Mirror In The Woods) in New York City! Juniper @ The Sidewalk Cafe! Join Juniper & The Wolf (aka Genevieve) for a set as part of the incredible line up inside New York City’s famous Side Walk bar & music venue! WHEN: January 3rd @ 8:00pm (EST). WHY: Because it’s Genevieve’s FIRST SHOW in New York City! The drinks are good & strong, the food is tasty & it’s gonna be an incredible line-up of outstanding musicians all night long! HOW MUCH: Entry is free, but a hat will be passed & there is definitely a recommended donation to pay the performers for their music & the tech staff for their time & hard work. Please join me for an hour of (mostly) original tunes, with a few stories & traditional songs you’ve probably never heard before thrown in there for good measure! It’s gonna be a helluva night! Tune in on December 29th @ 8:00pm (PST) for a very special interview with Marit Fält & Rona Wilkie! This will be the first in a bi-monthly series of interviews (separate from our regularly scheduled episodes) with independent folk artists from around the world! Tune in to Two Rivers Radio (York) on December 10th for this month’s Crossing Borders podcast episode! Tune in to Two Rivers Radio (York) on November 12th for the first long-distance Crossing Borders podcast episode! Tune in to WE WHO MOVE on October 15th, 2018 for the 3rd episode on CROSSING BORDERS - “Riddles, Rogues & Fair Young Maids!” This will be the first episode in a series I am entitling SONGLINES, where we take a closer look at the history & transformation of certain folk songs or themes in folk music. This episode will feature music from Magpie Lane, Josienne Clarke & Ben Walker, and Boann, among many others! Join Juniper & The Wolf, Nick Faye & Gary Stewart for the Gaslight Club’s weekly session at Oporto (Leeds). Free entry. Delicious drinks. Good music. What more could you want? WHAT: The Gaslight Club; a Greenwich Village style evening of musical acts from all over the world! Juniper & the Wolf @ Muhurito! Juniper & the Wolf will be playing at the lovely & tasty MUHURITO! WHEN: Sunday, July 29th, 2018 @ 5pm! WHERE: Muhurito Street Food (Liiva, Saaremaa, Estonia). 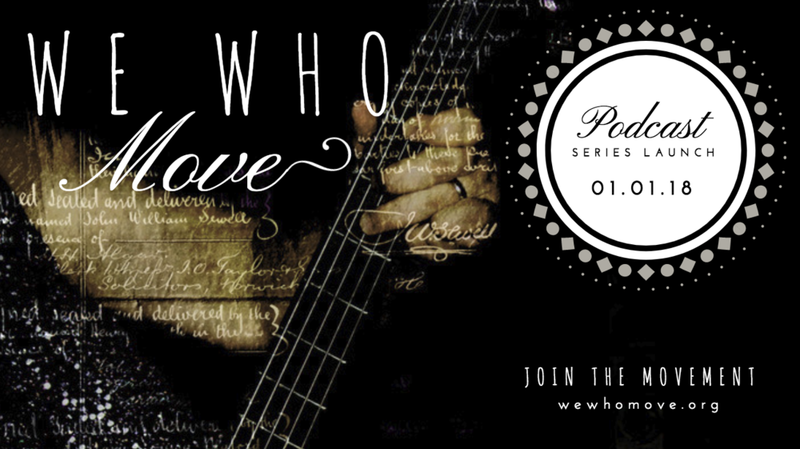 WHAT: A FREE concert of stories & songs, some original & some from around the world! WHY: Because burritos & drinks are tasty, Estonian summer is beautiful & it's good sit & listen to music & stories while in the company of good friends. See you there! Genevieve ("Juniper & the Wolf") will be embarking on an intimate West Coast Tour from February 1st - March 9th before heading out for another year of world travels & research. Come eat, drink & make merry with nights full of singing, storytelling, ballads, folk music & tales of love, loss, enchantment & the sea! Feb. 24th - House Concert (Seattle, WA) @ 7:30pm (RSVP). 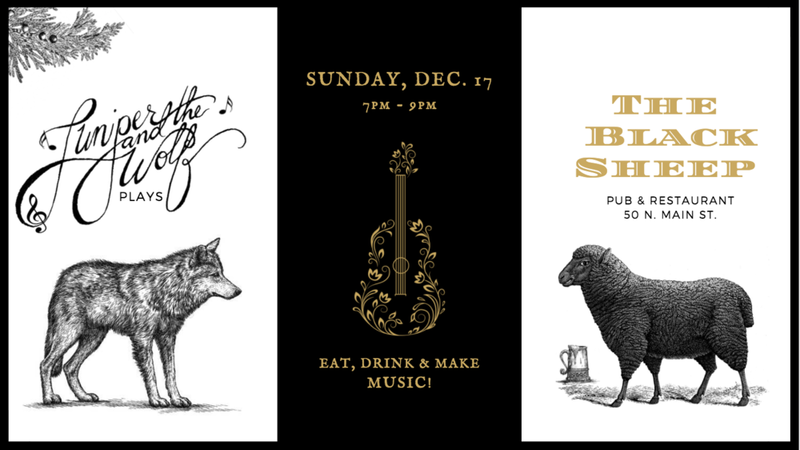 ...come on out to eat, drink, make merry & fill the night with music & stories, old and new, one last time! Jan. 7th @ 7pm to 9pm. EPISODE I: The Importance of Sound (an introduction). Dark stories & songs for dark nights! Come listen to tales old & new of lust, love, secrets & the sea! Drink a hot toddy or cider on tap & cozy up with someone (friends or strangers). Eat, drink, sing & make merry! LOCATION: Oberon's Restaurant & Bar (Ashland, OR). No cover. Genevieve (aka "Juniper") will be playing her first solo show at Oberon's Tavern, where it all began! Come out for a night of story & song, traditional "Bard" style & hear many original & some very old tales you may never have heard before! (No cover). Genevieve Andreæssen of Juniper & the Wolf will be teaming up with Ashland-based harpist & soprano, Sarah Lavender for a 3-concert mini-tour through Orgeon. 9 . 21 . 17 - House Concert (Portland, OR). Music begins at 7:30pm. Pie & cider. ($7 door). Juniper & the Wolf (aka Genevieve Andreaessen) performs inside Granel's elegant workshop & performance space as part of their new Conerts Intims series. If you are in the Barcelona area, come inside to browse their amazing whole & nutritious food selection & listen to a light evening of story & song in downtown Vic. Hope to see you there! Join the Borderline Band (Simone Caffari & Tim De Feu of The Badwills) & Genevieve Andreæssen (aka Juniper & the Wolf) in celebrating the recording of Genevieve's first EP & cross-cultural music collaboration for a night of storytelling + original & traditional music from the UK, Ireland & America! The concert will take place at 10:00pm inside the beautiful Fig Tree Bistro (formerly the Circus Cafe) in Edinburgh, OK, following the monthly Folk Society Storytelling Session. See you there!